The Supreme Court on Friday commuted to life imprisonment the death sentence of three convicts who were involved in the torching of a bus and burning to death three college students while protesting the arrest of AIADMK General Secretary Jayalalithaa. The three Judge Bench, comprising Justice Ranjan Gogoi, Justice A.K. Mishra and Justice P.C. Pant commuted the death sentence awarded to Muniappan, Nedu alias Nedunchezhian and Maadhu alias Ravindran, observing that the incident was not pre-meditated and happened due to mob frenzy. The Centre on the Death Penalty at NLU Delhi, on receiving a request from Gopal Sankaranarayanan, had provided assistance in the review petition in the 2000 Dharmapuri bus burning case. Shreya Rastogi, Nishant Gokhale and Burjis Shabir worked on this case on behalf of the Centre on the Death Penalty. "In August 2010, the Supreme Court had already confirmed death for the 3 petitioners at the criminal appeal stage. After it was made mandatory to hear death sentence review petitions in open court, this is the first instance of the Supreme Court commuting a death sentence to life imprisonment while exercising its review jurisdiction. The order is also significant because the bench did not exercise the power to exclude remission powers of the state govt while commuting the death sentence to life imprisonment. 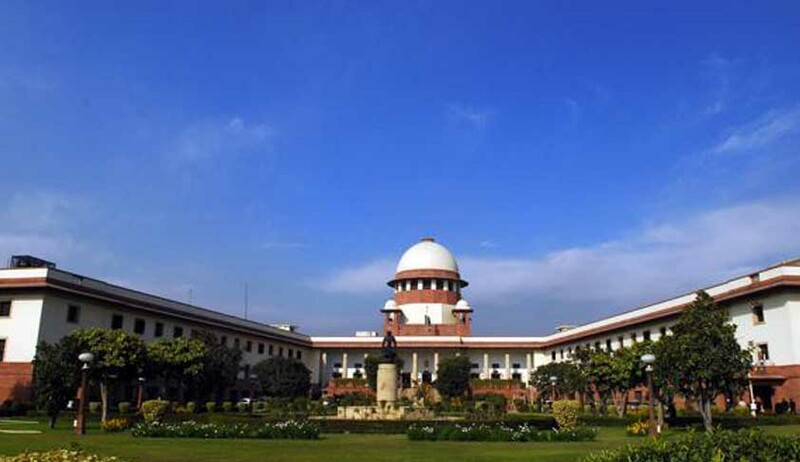 While commuting death sentences to life imprisonment, a Constitution Bench of the Supreme Court in the Rajiv Gandhi assassination case (November 2015) had recognised the power to sentence prisoners to imprisonment for the rest of their natural lives by excluding remission powers of state governments. While we wait for the judgment, it is certainly significant that the bench agreed with us that it need not exercise this power in the instant case. While dismissing death penalty review petitions (even those heard in open court), the Supreme Court has not adopted the practice of giving a reasoned order. I assume the logic is that since no 'error apparent' has been found there is no reason to provide any further reasons. However, in this instance, it will be interesting to see the manner in which the judges articulate the 'error apparent' in the judgment delivered in the criminal appeal". Defence Counsel, Mr. L. Nageshwar Rao had placed reliance on the doctrine of ‘diminished responsibility’, contending that the convicts were victims of mob psychology. They argued that they did not intend to kill anybody, and were merely intending to destroy government property. Mr. Rao had therefore contended that death was too harsh a punishment in this case, as the convicts had no personal animosity towards the victims. The prosecuting agency, State of Tamil Nadu, had left it for the Court to decide the case on merits. The infamous Dharmapuri bus burning incident claimed lives of three students of the Tamil Nadu Agricultural University, Coimbatore. The three students, Kokilavani, Gayathri and Hemalatha, were travelling along with 44 other students and two teachers, when they were set ablaze on February 2, 2000. The agitators were protesting against the conviction and sentence awarded to Jayalalithaa, for legalizing the unauthorized construction of the seven-storeyed Pleasant Stay Hotel at Kodaikanal when she was the Chief Minister 1991-96. A Trial Court in Salem had then found the trio guilty of murder and attempt to murder, among other charges under the Indian Penal Code. Their capital punishment was confirmed by the Madras High Court in December, 2007, and by the Supreme Court in August, 2010.